Throughout the first few decades of the 20th century, educators commonly believed that homework helped create disciplined minds. By 1940, growing concern that homework interfered with other home activities sparked a reaction against it. This trend was reversed in the late 1950s when the Soviets’ launch of Sputnik led to concern that U.S. education lacked rigor; schools viewed more rigorous homework as a partial solution to the problem. By 1980, the trend had reversed again, with some learning theorists claiming that homework could be detrimental to students’ mental health. Since the 1980s, the campaign to eliminate homework has marched on with the publication of books and articles and op-ed pieces contending that homework is not only useless but harmful. Today, many schools have banned homework completely, instituting a “no-homework” policy that teachers must observe in lesson planning and instruction. As always in our profession, however, a change in education theory and best practices is on the horizon. According to Marzano and Pickering, a growing body of research indicates that homework, “when employed effectively,” is, in fact, useful and that “doing homework causes improved academic achievement.” Right now, the pro-homework and the anti-homework forces have squared off, dug in, and begun attacking each other’s credibility and research. Assign homework that has a legitimate purpose, such as practicing a skill, studying topics that students want to explore on their own, or reading in preparation for instruction. Make sure to consider length and degree of difficulty when designing homework assignments so that students can complete them successfully with reasonable effort. Keep students’ ages in mind when assigning homework. The older they are, the more likely it is that they will benefit from homework. The younger they are, the less time they should spend on homework and the less likely they are to benefit from it. Since middle school and high school students usually take numerous classes with differentteachers, avoid assigning homework that’s due the following day. Give them some flexibility since they probably have homework deadlines in several classes. 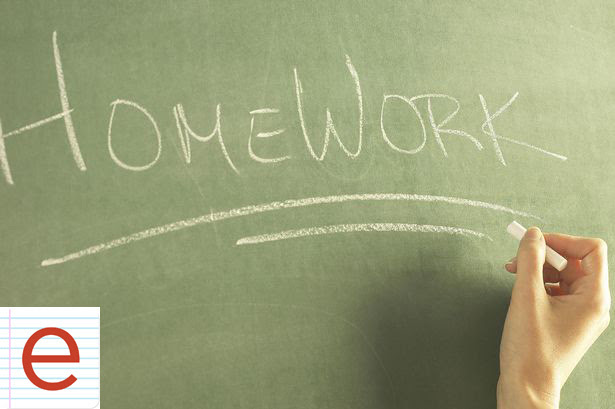 Don’t assign homework that’s so difficult or complicated it requires parents to act as tutors. To learn more about effective vs. ineffective homework practices, check out the two user-friendly charts at Reading Rockets: http://www.readingrockets.org/article/effective-practices-homework. The charts are part of an article that lists five facts about homework every teacher should read before assigning it. Since at least seven recent studies have shown that homework significantly raises scores on standardized tests, it’s likely that assigning homework will become a “best practice” once again. Meanwhile, until the dust settles, teachers no doubt will do what teachers always do while the theorists are busy debating how to educate kids. They will use their knowledge, training, experience, creativity, and common sense to find the middle ground where learning takes place steadily and consistently from year to year. So thank goodness for that—and for you! I’ll be back next month with some ideas for second semester. It’s hard to believe that half the school year is over. I hope it’s a great year for you and your students!